I hope everyone is doing well this week! I have to run, so without any further ado, here is my week in books! This has been a pretty quiet book week! I only got two books from the library: Legend by Marie Lu and The Darkest Minds by Alexandra Bracken. I keep hearing good things about these two series, so I thought I would give them a look through. Ancillary Justice by Ann Leckie: Yep, I am still reading this book. Part of me wants to stop, but it is my book club's pick, so I feel a little more pressure to finish it. Also, I keep hearing how amazing it is. I keep thinking that if I read a little more, I will love it. A Feast for Crows by GRR Martin: Although I am not keeping to the planned listening schedule, I am moving right along. I will probably be listening to several hours later in the week to get it down in time though! I am enjoying the book, but it doesn't seem like much is happening. I get the impression that we are just moving pieces on a chessboard. Divergent by Veronica Roth: I finally decided to read this book. I am doing the audiobook, but I am thinking of switching to the physical book. The reader is very clear and I like her voice; however, she reads in a fairly monotone voice. I am not sure, if I am a bit bored with the story because of the story itself (maybe I am tired of post-apocalypse stories?) or because the reader seems a bit bored with the story (it is hard to get your blood rushing when the reader is a bit calm about the dangerous events happening). A Touch of Temptation by Tara Pammi: This was a GoodReads giveaway book that I won. I am halfway done with the book, and I will probably be done with it sometime tonight (it is only 190 pages). It is a Harlequin Presents romance. I did not realize that the Presents series (Harlequin has different series of romances, so you can always find the type that you want) include the super alpha males, so this book is not my cup of tea when it comes to romances. The protagonists keep yelling at each other, and instead of thinking it is all romantic, I think that they need to learn communication skills. Luckily, the yelling/antagonistic part of the book is reaching its conclusion and the romantic-y bits are starting to happen now. I have been doing a bit better this week with this challenge! I finally posted a review that counts for COYER! Also, I read two books that count for the challenge (both galleys), so I am moving right along! I know that the Ho Ho Ho Read-a-Thon is over, but I want to thank Kimberly from the Caffeinated Book Reviewer and Jennifer from the Bawdy Book Blog for the $20 Amazon Gift Certificate! I also received some swag from the Twitter party! Darkest Mind blew my mind, enjoy and ooh so glad you liked all of your goodies! 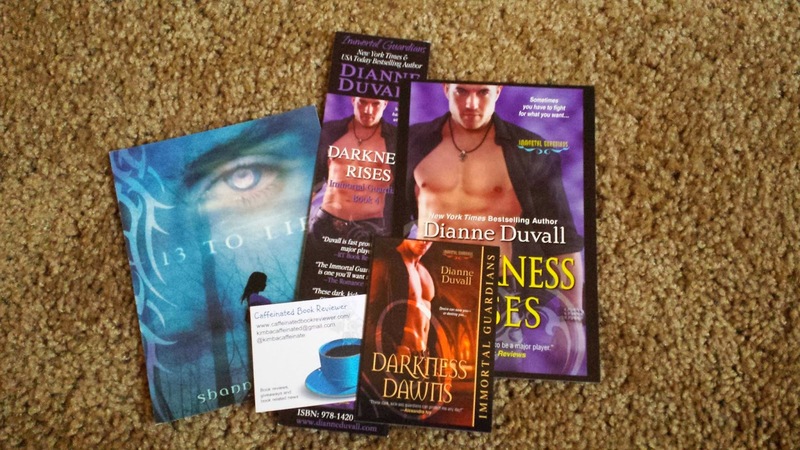 I love getting things in the mail and the goodies are fantastic. 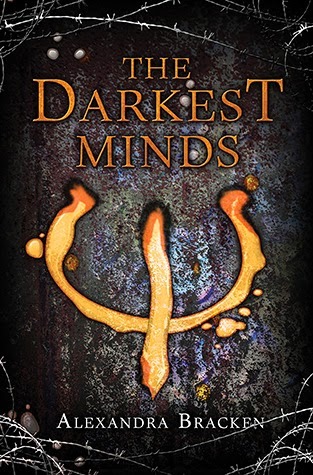 :) I have only heard good things about The Darkest Minds, so I am excited to start it! AFFC definitely feels bloated to me too. I am surprised how slow the audio book is going, because it didn't take me too long to read SOS and it was a longer listen. The final Marie Lu book just came out, so I thought this would be a good time to try the series out. I keep reading series that are incomplete. I am trying to read more series that are already done, so I don't have to wait years (e.g., ASOIAF) to complete it! Your updates had me smiling, It was good for me to realise that I am not the only one who has 'bad book weeks'. Congrats on your awesome goodies you got and wow.. a $20 gift card is awesome! Book club reads have been a bit hit and miss for me. It's really hard when everyone looks at you expecting you to gush over their fave read and you're feeling decidedly 'meh' over it. Congrats on winning the grand prize for the Ho-ho-ho Read-a-thon. I have had all sorts of book weeks over the years: Bad book weeks, good book weeks, and even overwhelming book weeks (those usually happened when I took too many literature courses in one semester in college)! Thank you! It was such a surprise. I keep hearing amazing things about Ancillary Justice and I have 2 hours left (according to my kindle), but I just can't bear to pick it up. I think it might end up a DNF. Yay for The Darkest Minds, that one blew me away when I read it. I can't wait to get to Never Fade to see where it's going. 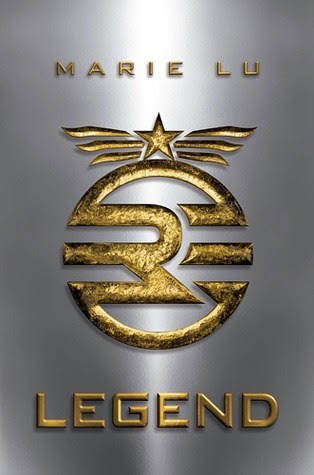 I still have to read Legend but I hope you enjoy it when you get to it. I'm loving AFFC. Almost halfway through and I'm liking how it's a bit different from the other books in the series. I have yet to read anything bad about The Darkest Minds. I need to finish AFFC, so I can get to my other books! The AFFC audio book is due at the library soon, so I am spending all of my time listening to it. Yikes I need to read those two series as well - someday soon hopefully now that the Legend one is finished. Is the other I can't remember. The Legend series is now complete. The Darkest Minds has 2/4 books published as of now. I've wanted to read Divergent for a while - good to know about the audiobook, I'll be sure to grab it in eBook or from the library or something... bored narrators really don't help at all! I hope you end up enjoying it! I am reading The Darkest Minds now, and I have to say that I am loving this book a lot more than Divergent!